As you know I am big fans of the blog Brown Paper Packages…. She had a post about back to school gifts that included a recipe for hot fudge sauce. 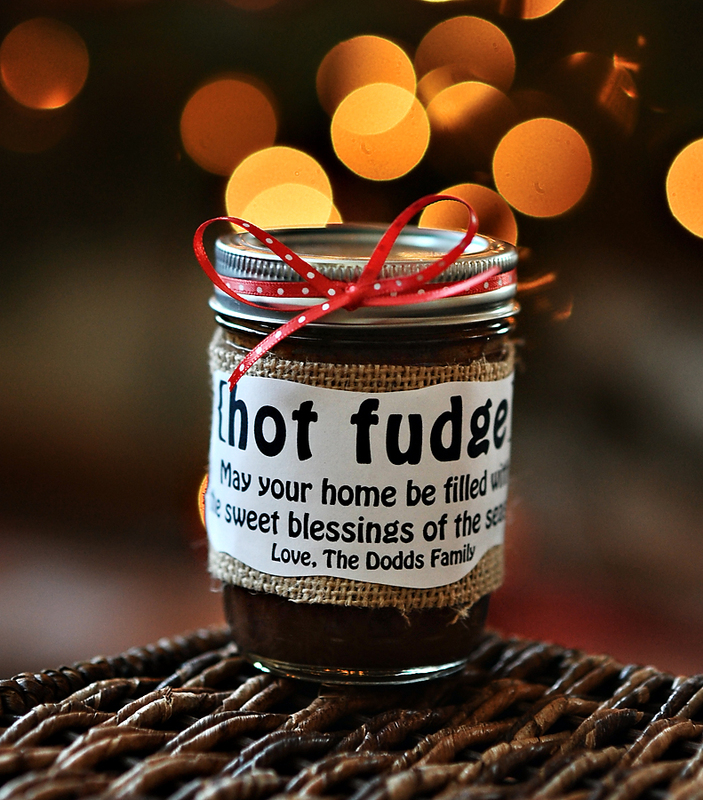 I altered her recipe and made some for holiday gifts for teachers this year… I put the fudge in a jar and attached a gift card to a local ice cream shop… A gift after my own heart! Here’s the recipe, I filled 4 jars with this recipe! Over low heat melt butter thoroughly. Add sugar and cocoa. Mix well, then gradually add milk. Bring to a boil, and boil for 5 minutes, stirring constantly. Remove from stove, then serve warm or cold. I love this because my husband tied the bow, can you tell???? I hot glued a strip of burlap to the outside of the jar and attached a little tag that says “May your home be filled with the “sweet” blessings of the season”.. Nothing fancy… Had I planned for this project I would have used cuter paper, but alas we had nothing cute at home!